Finding the right people has always been a problem for IT organizations for many reasons. There’s always been a “build or buy” decision for organizations – do they hire and “build” people into what they need them to be or do they just go out and “buy” employees for that particular role and/or hire consultants or outsource the work? With big data becoming popular over the last few years, its been time for the “build or buy’ decision again. 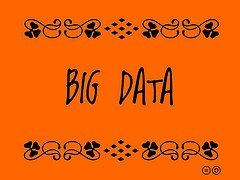 Should organizations find the right people with the right skills and bring them on to ‘do’ big data or should they ‘build’ internal folks into ‘big data’ people. In my experience, building people is much more preferred and useful than buying people (i.e., hiring new people). By building the skill sets of the people already within your organization, you are sending a message to the people that you are willing to invest in them and their future. Additionally, you are able to give people another career path beyond what they might have signed up for when joining the company. That said, how do you find the right people internally to build into big data professionals? Who’s the right fit? How do you identify them? Those are the key questions – and the reasons that some organizations go out and buy folks from the outside. It can be easier and faster to hire someone that already has the right experience and expertise than to train and teach employees. If an organization does hire from the outside – they can have just as much trouble finding the right people with the right skill-sets since big data isn’t exactly a well-staffed and long-term career. There are people with the right skills out there, but they are already employed and it most likely won’t be cheap or easy to get them to come to work for you. So…what to do? Build or buy? Determine what new roles you might need in the future related to big data. Think about the strategic and the tactical…you need people that can think/do “big picture’ as well as think/do ‘getting things done’. Start a build AND buy process. Start training your staff now. Find those people in your organization that like math and data. It doesn’t matter if they work in the janitorial service, finance or IT – find them and start training them in statistics and data principles. Build the right recruiting practices to start looking for and hiring people with the right skill sets and interests to move into your big data practice areas. Whether you build or buy (or build AND buy), you’ve got to start today if you haven’t already. How is your organization tackling the big data skill set problem?